Instead of translating the theme via Loco Translate which is a user-friendly way to translate or edit the theme strings, you can also manually translate the theme by translating the .pot file via Poedit software. WordPress uses .po and .mo files to translate a theme or plugin, and they are generated from the .pot file which is the core translation template. When purchasing Noor you will get the noor.pot too and then you can start translating it into any language you need. 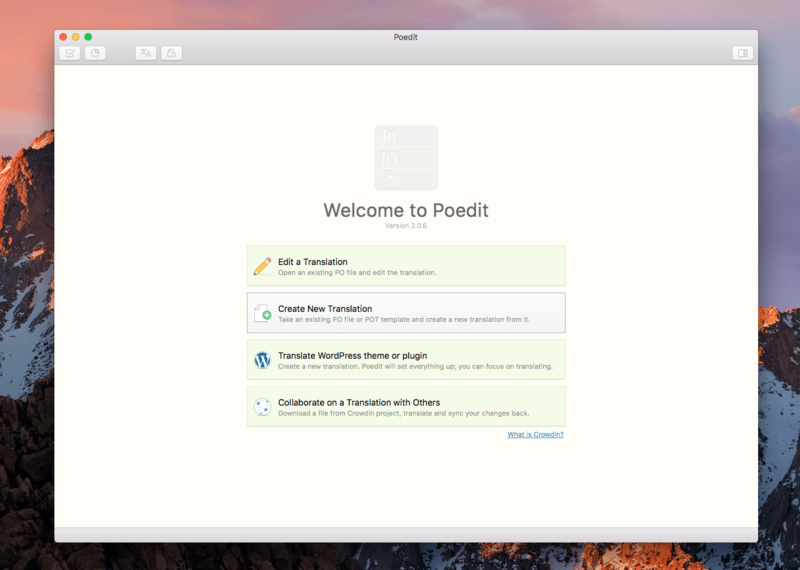 The first step to start the translation is to get the Poedit, a free software compatible with operating systems such as Windows, MacOS, and Linux. After you’ve installed Poedit software you can start translating. From the downloaded Noor, files go to Noor Full Package and unzip the noor.zip file, get into the unzipped Noor folder and then into the language folder, there you should find the noor.pot file and open it. Open this Github link, and download noor.pot file, then just open it. 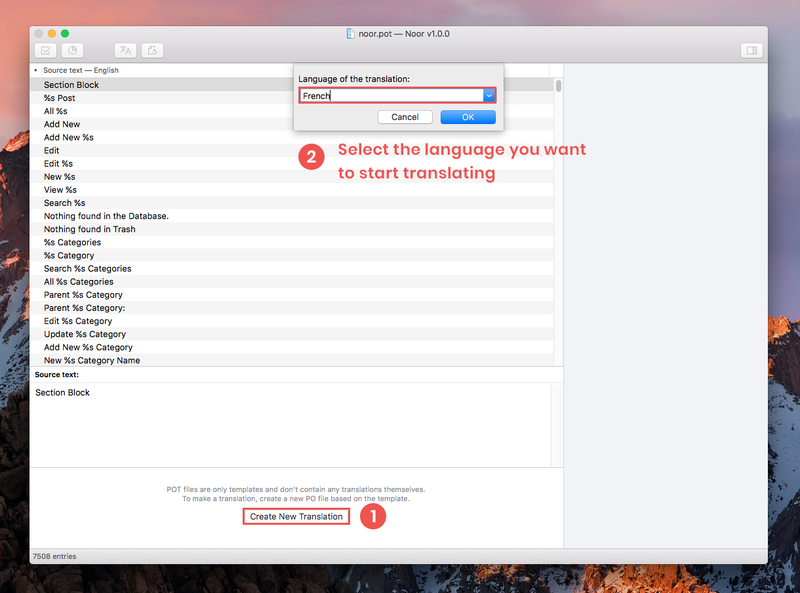 Poedit will open the file where you should firstly click on Create New Translation and then in the Language of your translation, you will need to select the language you want to translate Noor, click OK to continue. Now choose from the word list or if you want to find it quickly, go for CMD+F (CTRL+F) to find a word quickly. 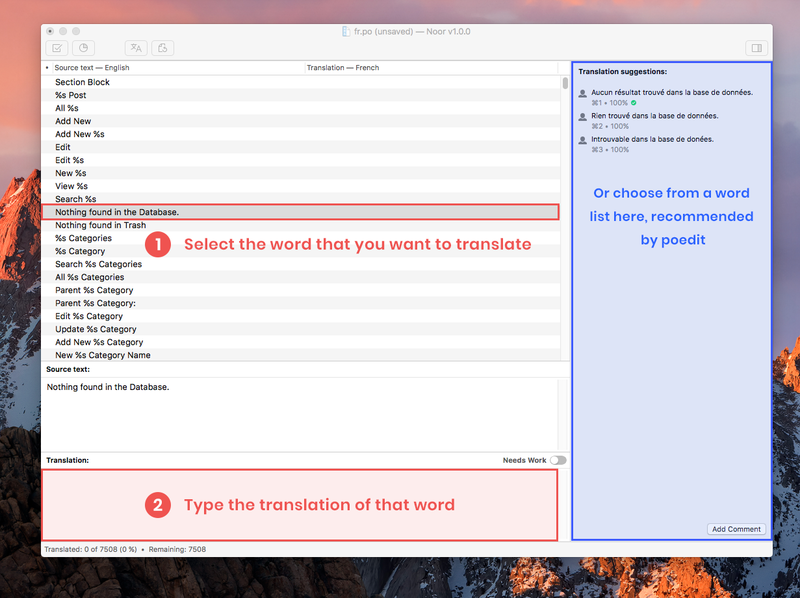 In the Translation, text area types the translation of the selected word above, or simply choose a word recommended by Poedit in the right side. Repeat this for all the words you want to translate and then go to File > Save As or simply CMD+S(CTRL+S) to save your file as translation file, save it as noor-sq.po (sq is the language code for Albanian) the .mo file will be generated automatically as a compiled version of .po. Go to your WordPress installation wp-content/languages/themes and paste the noor-sq.po and noor-sq.mo files here. That’s it, you just translated Noor manually with Poedit.